Karen’s Killer Fixin’s **AUTHOR SPECIAL** with MARY STRAND!! Welcome to my Friday bonus feature called Karen’s Killer Fixin’s **Author Special**!! Today, in lieu of one of my own recipes, I’m going to introduce you to a new author who will share one of her favorite recipes. Not only will you and I occasionally learn how to make something new and delicious, but we’ll get a chance to check out some wonderful authors. Introducing author, MARY STRAND, and her favorite recipe for MOM’S COFFEE CAKE! He took a dare. She took a chance. Burned-out lawyer Cooper Meredith decides success isn’t all it’s cracked up to be. Trading his ties for T-shirts, he chucks it all and becomes nanny to a wild pair of four-year-olds … and the four-year-olds win every time. The kids’ mom, Molly Perrell, a stressed-to-the-max retail exec, just wants someone she can count on. It doesn’t appear to be Cooper, who turns out to be the world’s worst nanny. Their clashes, and their undeniable attraction, turn Cooper’s summer folly into the chance of a lifetime. Molly reviewed her options one last time. Unfortunately, she had just one. This man. This—okay—tall, very attractive, very blond, very tempting man. The guy had the most beautiful blue eyes, with flecks of gold, reminding her of the sky on a hazy August day at the lake. Hips slim enough to slide her arms around. The hint of contoured muscles under his shirt that gave him an indefinable sense of power. Of strength. The type of man her next-door neighbor, Brooke, would eat for lunch. And dinner, and most definitely breakfast. Molly had neither the time nor the tolerance for casual or even not-so-casual flings, but she appreciated a gorgeous man when she saw one. She wasn’t dead yet. Cooper Meredith was clearly not dead yet, either. What had Emma said? Oh, yeah—cute. Very cute. More Saturday-night-date material than nanny material, but maybe she could make this work until she got home from New York. With a little help from her sister-in-law and a little luck. After she described the hours, salary, and benefits, which she knew were standard, he replied with just a slight tilt of his eyebrows. Silence. Molly tried to wait him out but couldn’t stand the suspense. She needed him. She steeled herself for the inevitable refusal but asked anyway. About the author, Mary Strand…. Mary Strand practiced corporate law in a large Minneapolis law firm for 16 years until the day she set aside her pointy-toed shoes (or most of them!) and escaped the land of mergers and acquisitions to write novels. Her first novel, Cooper’s Folly, won Romance Writers of America’s Golden Heart award. Cooper’s Folly, published by Bell Bridge Books, is her debut novel. Mary lives on a lake in Minneapolis with her husband, two cute kidlets, and a stuffed monkey named Philip. When not writing, she loves traveling, live music, and playing sports with reckless abandon and a high probability of injury. 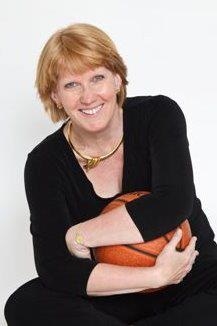 Join her mailing list on her website: www.marystrand.com and keep current with the latest book updates, events, book signings, and other news. P.S. We’re at 129 recipes and counting with this posting. Hope you find some recipes you like. If this is your first visit, please check out past blogs for more Killer Fixin’s. In the right hand column menu, you can even look up past recipes by type. i.e. Desserts, Breads, Beef, Chicken, Soups, Author Specials, etc. Mary shares…When Karen asked me to stop in here and share a favorite recipe, my first thought was: But I don’t cook!! (When I mentioned it to my husband, that was also his first thought, accompanied by hysterical laughter.) My mom didn’t cook if she could help it, either, but she made a few things that were major winners. (If you could overlook her hamburgers, which we referred to as hockey pucks.) Her coffee cake was definitely a winner: the ultimate in yummy comfort food. Grease bottom and sides of 9 x 13 pan. Preheat oven to 350 degrees. Separately mix coffee cake and topping ingredients in bowls. Spread half of coffee cake batter in pan, then sprinkle half of topping evenly across that. Repeat, spreading remaining half of batter followed by remaining half of topping. Bake for 30-35 minutes. Check doneness with toothpick. 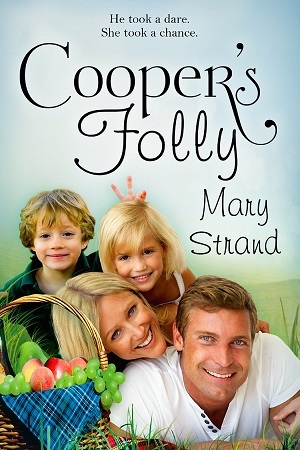 **SPECIAL ANNOUNCEMENT: Mary will give away an ebook copy of COOPER’S FOLLY to one lucky reader who comments on her Karen’s Killer Fixin’s blog!! Don’t miss this chance to read this fun debut novel!! Thanks, Mary, for sharing your upcoming release with us! This entry was posted in Karen's Killer Fixin's and tagged **AUTHOR SPECIAL**, Breakfast, Cakes & Pies. Bookmark the permalink. I do have a favorite coffee cake recipe, but this one looks good too! Mmmmm…coffee cake. Thanks for sharing! You may have just inspired me to do some baking this morning. Mmmm, sounds good. Unfortunately I cannot cook (stuck in bed after surgery), but it sounds great….Coffee Cake and a good book. Book sounds Awesome, too. This looks pretty easy, Mar. I’m glad I checked this out so I can look at all the other recipes Karen has here. Beautiful cover! First time I’m seeing it. bn100, it’s VERY tasty! My mom made it from time to time when we were all together, especially when we gathered as adults (we had 8 kids in our family), but my favorite time was Christmas morning. Hannah, thanks on the cover! Yes, the coffee cake is super easy. Anything I make needs to be. lol.